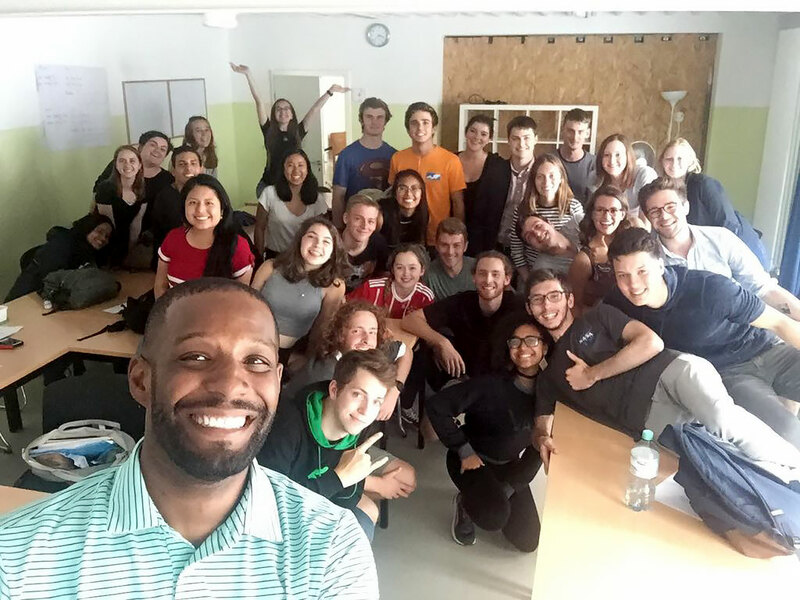 Award-winning Digital Media Producer André Beckett credits his success in the film, television, and music industries to the year he spent in Germany as part of the CBYX Vocational Youth Exchange Program. From June 1997 - May 1998, André interned for a recording studio in Berlin which recorded the soundtrack to Lola Rennt (Run Lola Run). His experience through the CBYX Vocational Youth Exchange Program provided him the opportunity to forge relationships with industry professionals in the film and television fields and secure jobs in the industry in both Germany and the United States. He has since worked on projects such as M. Knight Shyamalan’s The Last Airbender, Devil, Rocky Bilboa, and Marvel Comic’s Captain America: Civil War. In addition to his success in television and film, André has remained committed to serving his community and to championing the ideals of cross-cultural exchange programs. He focuses on educating and mentoring the next generation of students. André holds a Master’s Degree in Career and Technology Education and serves as a teacher at the Philadelphia High School for the Creative and Performing Arts. A talented educator, he was recognized by the Pennsylvania Department of Education for his 12 years of service and impact in helping to promote international exchange programs. He was also awarded the National Liberty Museum’s Teacher as Hero Award for his ongoing commitment to his students. Although he completed his exchange program nearly 20 years ago, André has remained a dedicated advocate for international exchange and cross-cultural awareness. He has stated that “cross-cultural youth exchange programs are invaluable learning experiences that challenge our thinking about ourselves, our country, our world.” To help others experience these transformative impacts, he has volunteered with the CBYX Vocational Youth Exchange Program and Sister Cities Program for the last 19 years. An active alumnus, he has served on various selection committees for the CBYX Vocational Youth Exchange and volunteers his time to host recruitment sessions and seminars for prospective students. In the summer of 2017, he conducted a video workshop for the current CBYX Vocational Youth participants and continues to follow up on their progress. André is an invaluable mentor to prospective and current CBYX Vocational Youth Exchange students. André’s enthusiasm for mentoring resulted in changes which still impact the CBYX Vocational Youth Exchange Program and its students today. Upon his return to the United States after his program, he proposed the creation of a Junior Staff position where former students would mentor current participants. Established by André as the first mentor, this extremely successful position has been an ongoing feature of the program for the last 19 years. André Beckett epitomizes what the CBYX Vocational Youth Exchange Program is all about. Twenty years ago, as a recent graduate from a Philadelphia, PA vocational high school, he committed himself to taking a huge step out of his comfort zone with the determination to make it a life-changing experience. André returned from this experience armed not only with valuable knowledge and contacts in the film, television, and music industries, but also with a commitment to serve his community and share his experiences with family, friends, and the next generation of students.